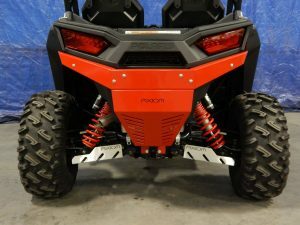 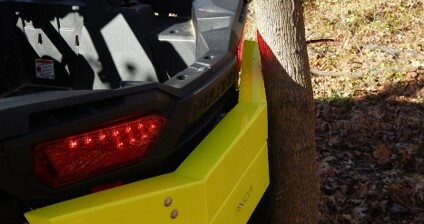 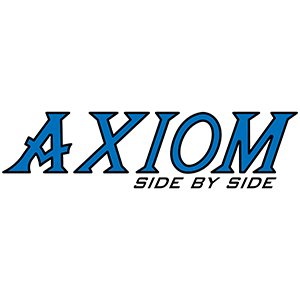 Axiom front and rear bumpers are built tough out of 1/8” 11Ga. 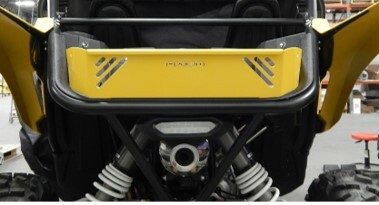 steel and mounted to the machine with 3/16” 7Ga. 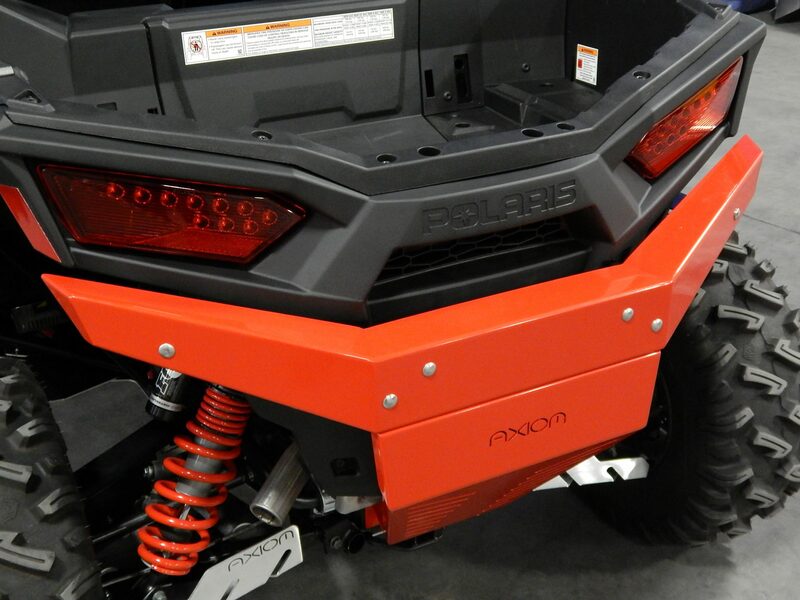 steel and then powder coated to match many factory colors. 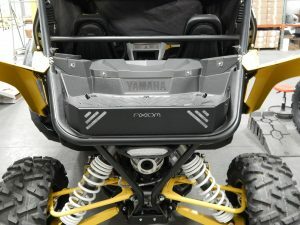 Once installed these bumpers will protect your machine for years to come. 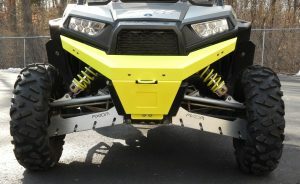 Front bumpers have access to winch mounts and the rear bumpers have vents for cooling protection of the exhaust system.